Nothing beats a classic Norman Nasal Helmet when it comes to a classic Viking look. 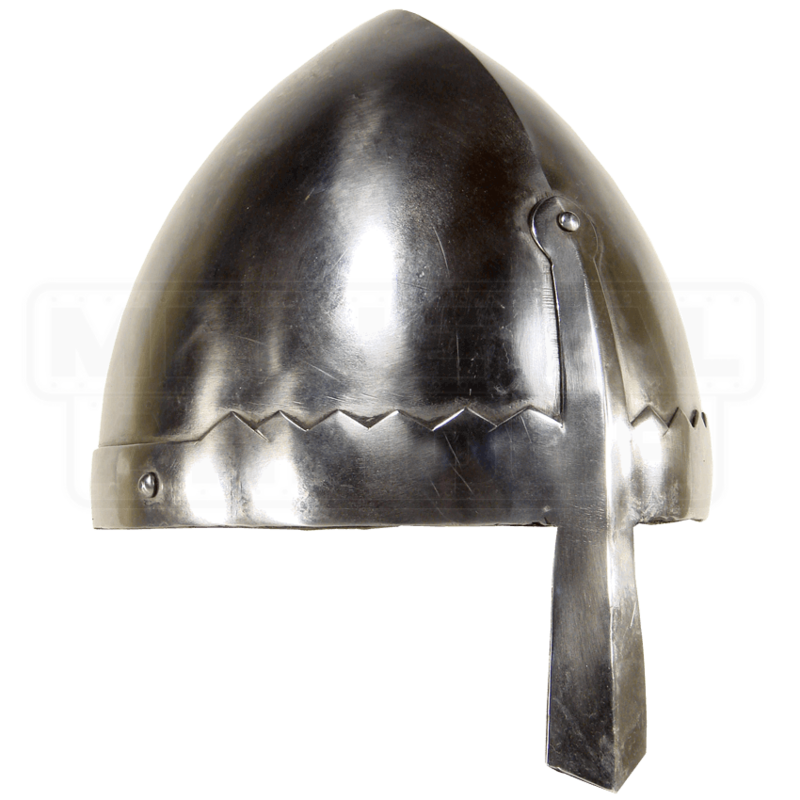 This helmet features a shiny metal finish that makes the helmet all but gleam in the light, while retaining the classic look of a Norman helm. In spite of the helmets shiny appearance, it still features an attractive look that makes it look rugged and worn, though still well-cared for and polished. The helmet is a classic skullcap with a reinforced band around the base, while featuring a crossbar nasal guard that extends down the front of the helmet. The interior of the helm is completely padded and features leather lining, as well as an adjustable chin strap. All and all, this Norman Nasal Helmet is very comfortable and easy to wear, while also keeping your head safe from any number of the blows that might rain down upon it in battle! Helmet was received quickly and well packaged. Helmet itself is welded steel with an inner black finish and polished outside. Inside was real leather padding and adjustments. Had to bend slightly to attain comfortable shape to head. Really Nice I got the large size . Glad I did fits better over the head mail going to keep shopping here . The helmet was nice and light. Helmet liner was nice and the fit was accurate. Perfect for wearing for extended periods of time.